Explore, play, and wonder at gigantic, fantastical, artworks at Inflatable — a new exhibition at the Exploratorium, opening on May 26, 2018. 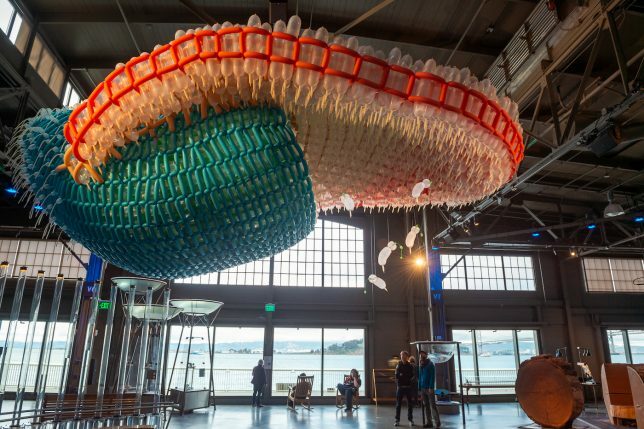 The renowned San Francisco museum is partnering with art, design, and visual culture blog Colossal to present a collection of large-scale, inflatable artworks. 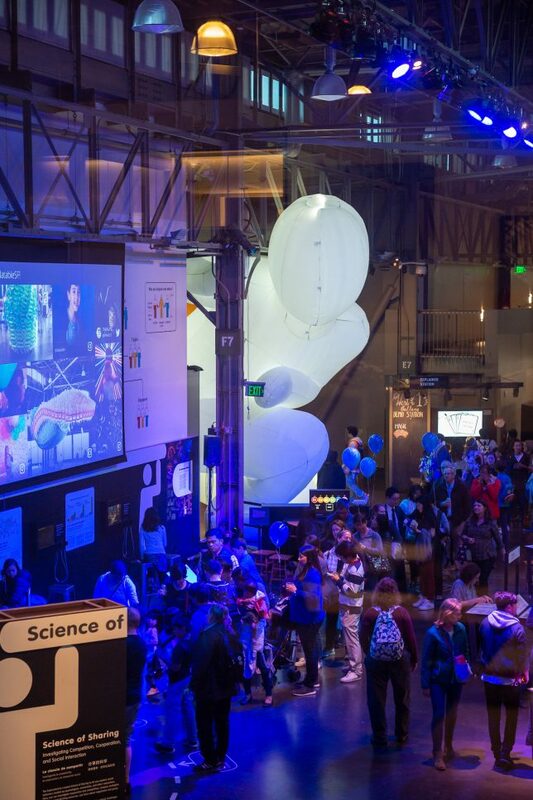 Inflatable features artwork by contemporary artists Amanda Parer, Jason Hackenwerth, Jimmy Kuehnle, Shih Chieh Huang, and an art collective, Pneuhaus. 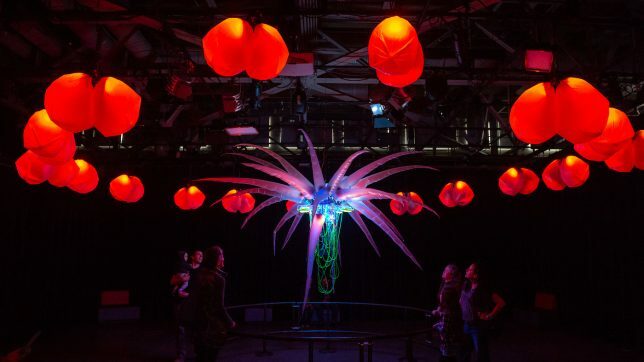 Born out of thin air, these dynamic sculptures include otherworldly organisms, a forest of cushiony columns, an inflatable insect-eye room, and more. 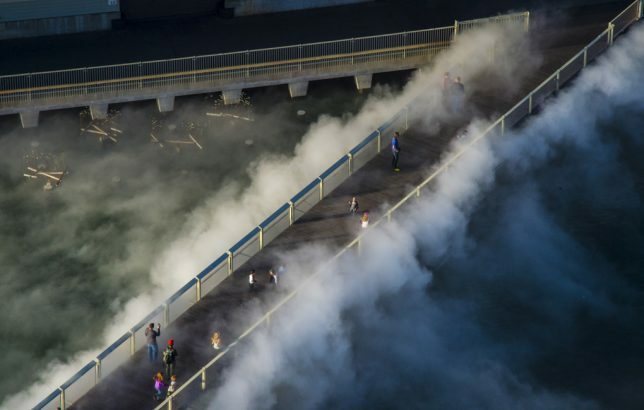 Even visitors familiar with the Exploratorium will see the space in a new way. 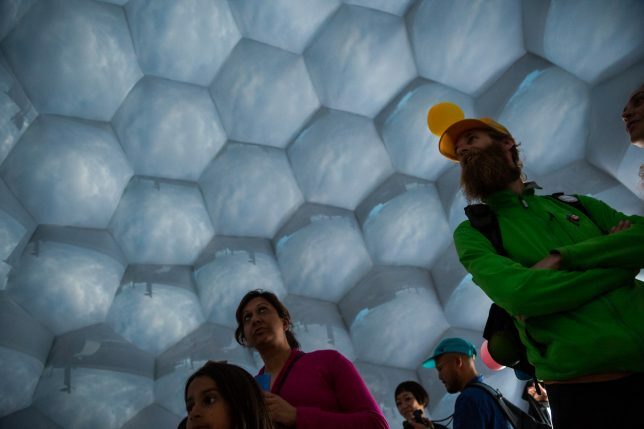 Museumgoers will be able to enter an inflatable multi-lensed camera obscura that feels like stepping into the compound eye of an insect. Massive crouching inflatable humanoids will fill the building from floor to ceiling, making the West Gallery feel at times like a dollhouse. 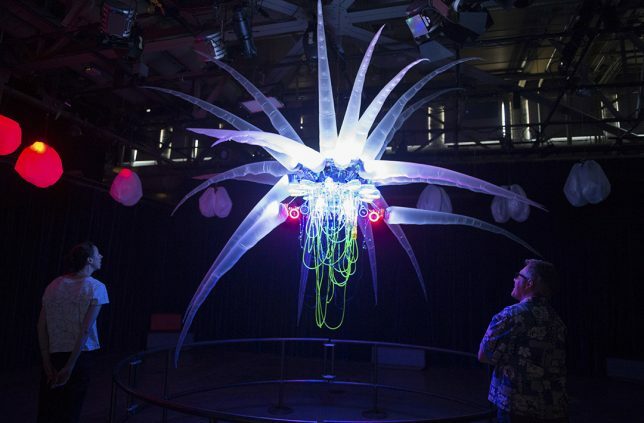 And visitors will feel they’ve entered a microscopic biological world thanks to a balloon artwork inspired by organic forms that will be constructed onsite, to deflate almost imperceptibly throughout the summer in a process that gestures toward biological decay. 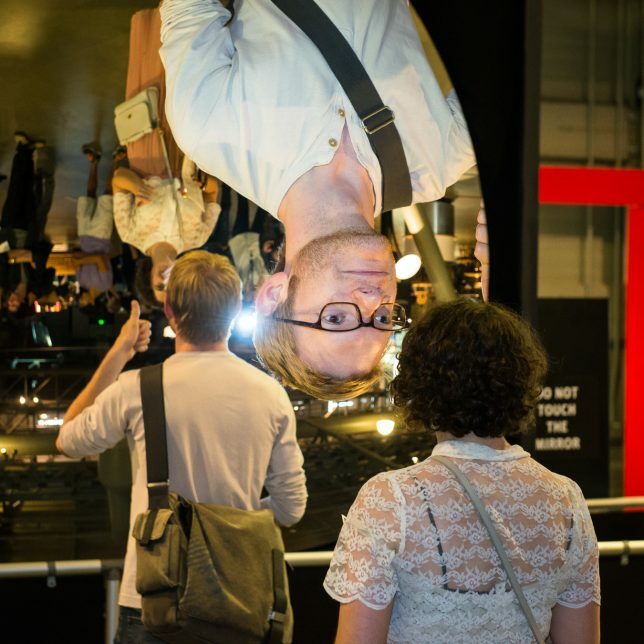 Visitors of all ages can step inside a tornado, turn upside down in a giant curved mirror, walk on a fog bridge, and explore more than 650 hands-on exhibits. 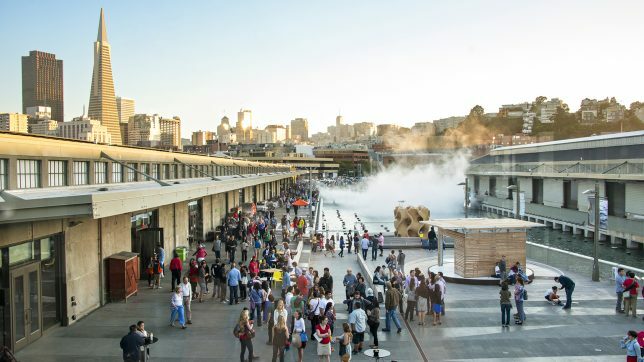 You’ll find all of this plus unique programs, discussions, and events; a café and restaurant; two stores; and more at Exploratorium’s beautiful San Francisco bayside location on the historic Embarcadero. 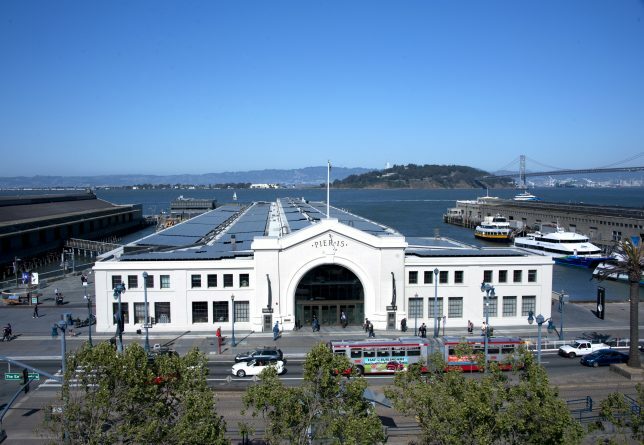 Located between the historic Ferry Building and Pier 39, the Exploratorium is a short distance from San Francisco’s top attractions: Fisherman’s Wharf, the Alcatraz ferries, and Chinatown. Entry to Inflatable is included with museum admission. 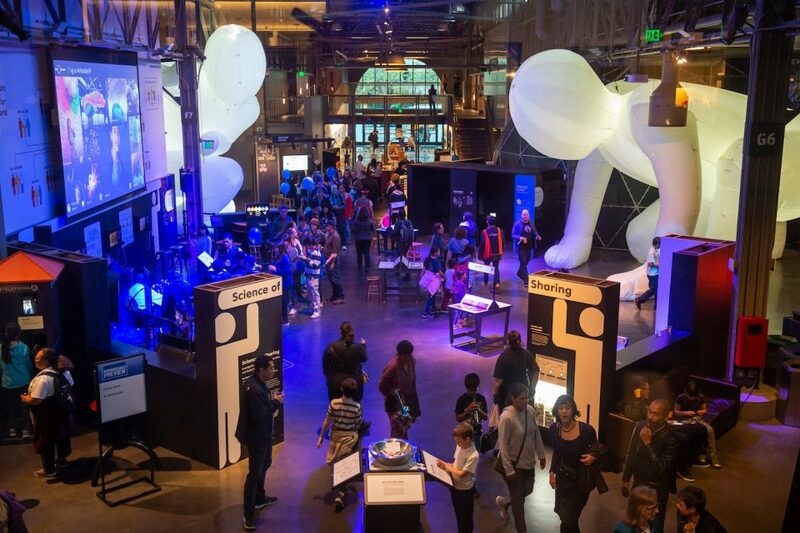 Exploratorium on Facebook, Twitter & Instagram. Colossal on Facebook, Twitter & Instagram.